While the construction of this plane is deceptively simple, the beauty of it really jumps out at you. 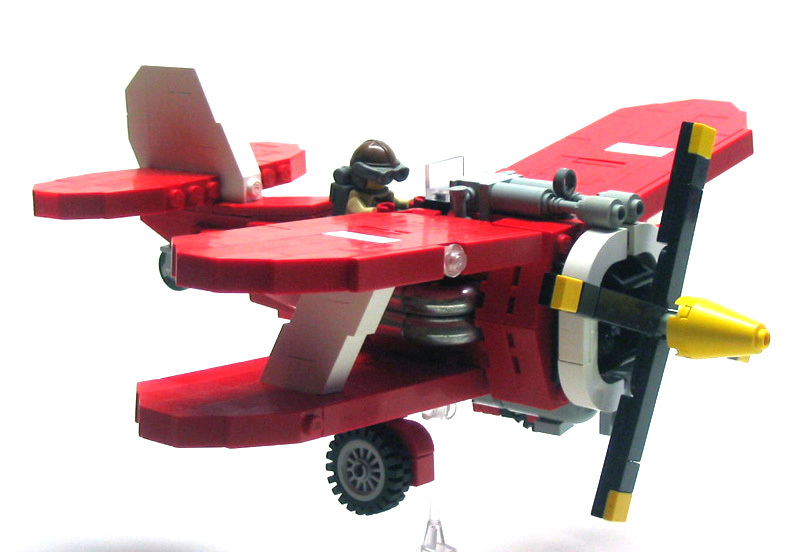 Using mostly basic bricks, the builder has really captured a neat plane. He says it isn’t based on any real plane, but it is a perfect example of the genre. Slightly cartoony, really cute, and just a little bit burly…overall a sweet little plane.